Dr. John K. Starr, MD, is an orthopaedic surgeon who specializes in complex spinal surgery. Dr. Starr's sub-specializations include complex deformity, revision reconstruction, spinal trauma and tumors. Dr. Starr completed his orthopaedic residency training at the University of Pittsburgh and two spinal surgical fellowships at the University of Miami. 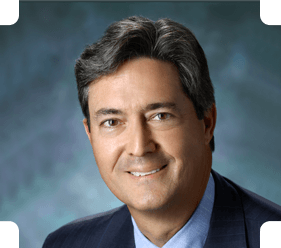 He came to George Washington University in 1992 and served as the orthopaedic director of spinal surgery. He has practiced in Washington, D.C., for fifteen years. Fellowship, Pediatric Reconstruction and Scoliosis, Miami Children's Hospital, Miami, Fla.
Fellowship, Spinal Cord Injury Unit and Adult Spinal Surgery, University of Miami, Jackson Memorial Hospital, Miami, Fla.
Residency, Orthopaedics, The University of Pittsburgh School of Medicine, Pittsburgh, Pa.
Internship, University at Buffalo, Millard Fillmore Hospital, Buffalo, N.Y.
MD, University at Buffalo, The State University of New York, Buffalo, N.Y.
BA, Williams College, Williamstown, Mass.